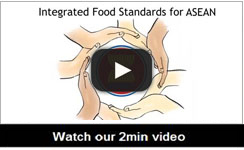 AFBA Executive Summary: AFBA Executive Summary on the Harmonisation of Food Standards in ASEAN, A Shared Vision For Regulatory Convergence. This document introduces the ASEAN Food & Beverage Alliance (AFBA) and highlights the importance of regulatory convergence in ASEAN and beyond. It describes the principles of Good Regulatory Practice as advocated by AFBA and sets out the AFBA Commitments for A Shared Vision in ASEAN.